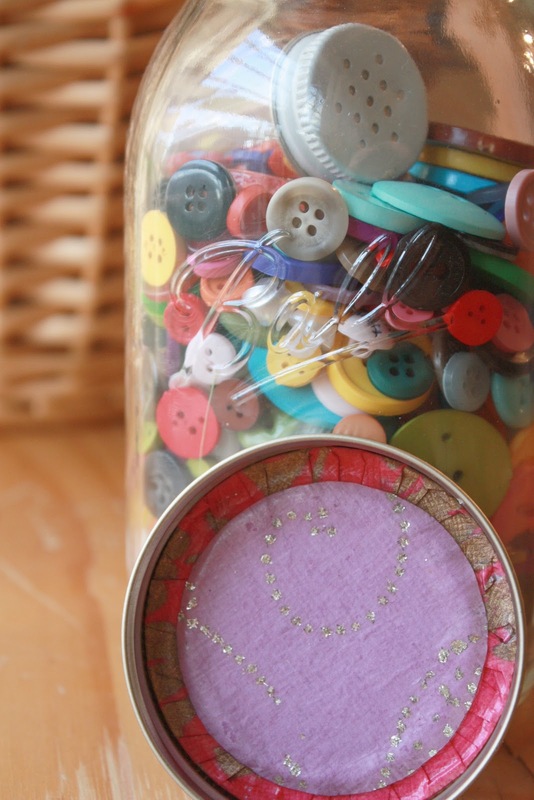 I have been using mason jars as storage in my studio for quite some time. I love how sturdy they are. I love that they are see-through, and mostly, I love the fact that I am reusing something that would otherwise be thrown in a landfill. 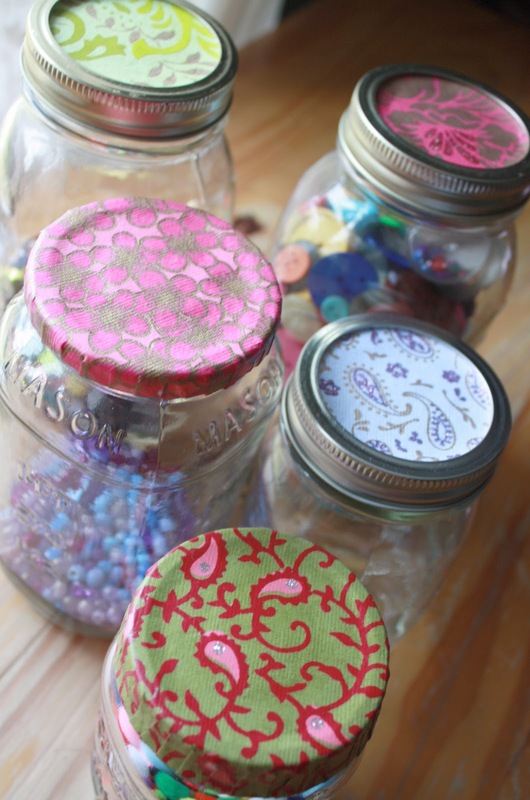 I've seen many ways to decorate your jars or reuse them and they are all fabulous. But, for me, a self-proclaimed paper addict, there is no other way to pimp up a mason jar than with some beautiful paper. As much as I love these babies, there's something about the "please refrigerate after opening" or "use by *** date" that just puts a damper on their prettiness. So, I decided to cover my lids with my secret stash of handmade pretties. Here is how. circle dies, punches or anything that will help you make a decent circle (you can freehand if you're super fabulous) or you canuse one of these. 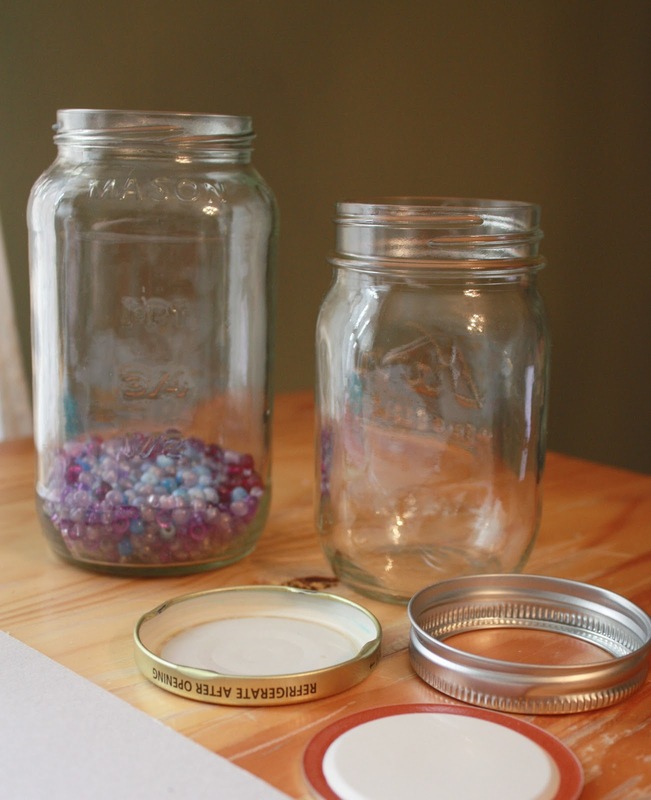 So, I did two different types of jars. I did canning jars (which have the lids with 2 pieces) and I did regular screw-top jars. The steps are very similar for both with the exception that for the former I like to cover the inside of the lid with a different patterned paper so that it looks really finished (and it also covers any leftover sauce stains). First you need to cut a circle larger than the lid. If the lid has a lip you need to add the measurement of the lip plus an additional quarter inch or so, so that the paper covers the lip completely. Then you score (or pencil) around the edge of the lid. apart around the circumference of the circle. as well as the outside center of the jar lid. and center to be sure that the surfaces touch and adhere to each other. Now in small pieces, brush Mod Podge on to the side of the jar as well as to the inside of the paper. (This is where it gets nice and messy and starts to feel like art class). Now you want to seal that paper in so that it doesn't (ever) come loose. Apply Mod Podge generously all over lid and let dry. Since this lid is very indented you really need to rub the paper on to the lid and remove and space between the paper and the lid. As a finishing I chose an alternate pattern to cover up the inside. 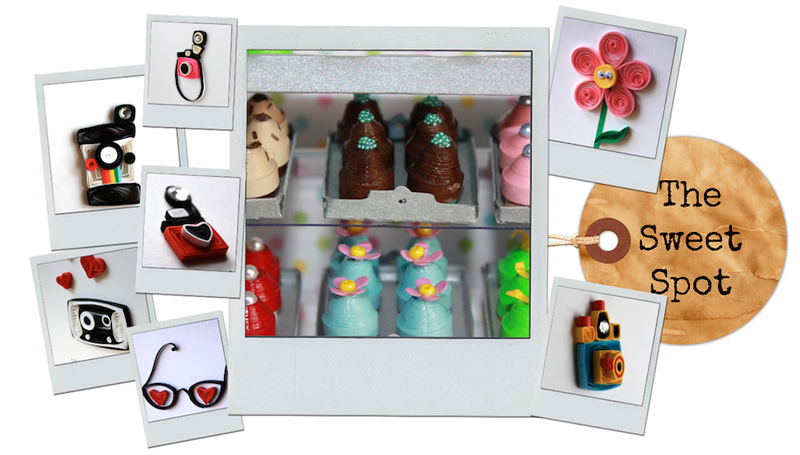 Here are your pretties all dolled up! On a completely unrelated note, Martha Stewart is hosting a daily giveaway this month. You can enter to win something great every day. Here is the link. This is fabulous! Can't wait to do it, thanks for posting. Really cool idea, thanks for sharing! Love your dressed up jars! I always wondered how to get the paper glued on the lid. So thank for the tutorial that shows cutting slits in the paper. These are SO cute and I love your paper choices! What an awesome job! I'm gonna go hit goodwill and pick up some jars right now!!!! 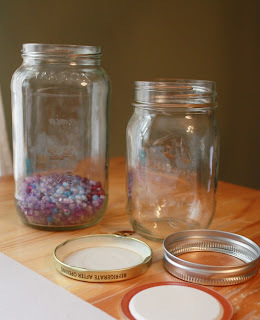 JUST what I needed....I have a ton of mason jars that I won't be using for this one project...so this is great!!! How does washing these turn out? 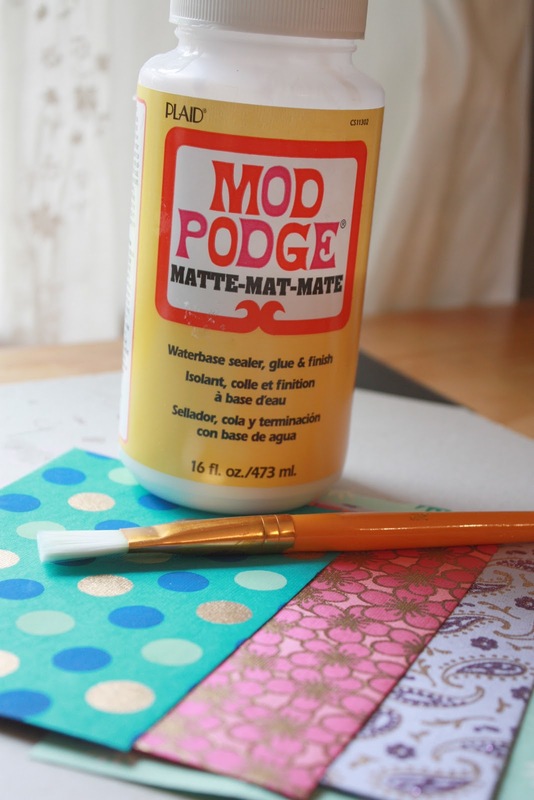 The paper won't get soggy--will the mod podge do that for you? Thanks for the in-depth tutorial. 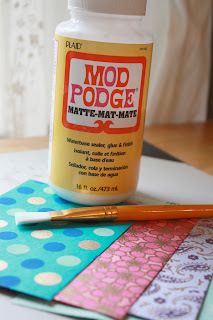 I've never used Mod Podge but bought some a few weeks ago. 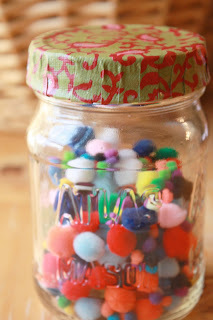 I've been trying to find a very detailed how-to for my jars for using Mod Podge for the first time and you're the best one! Thanks for taking the time to really describe how to do this, it's much appreciated! That's really cool. I love the look of mason jars but this kicks it up a notch and really makes them awesome.